First of Its kind lice fighting tool! This proprietary mint formula helps repel head lice bugs. 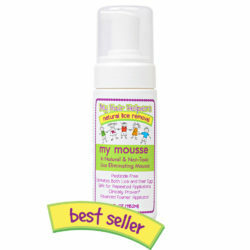 Use as often as necessary to help prevent head lice. Lightly mist My Mint Spray, with special attention given to nape of the neck and behind the ears. My Mint Spray may be used several times a day. 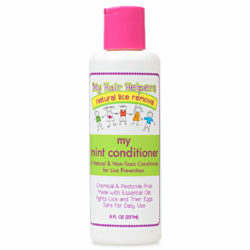 NOTE: My Mint Spray has been formulated to help repel and prevent head lice. To completely remove head lice, we recommend you purchase our Lice Removal Kit.